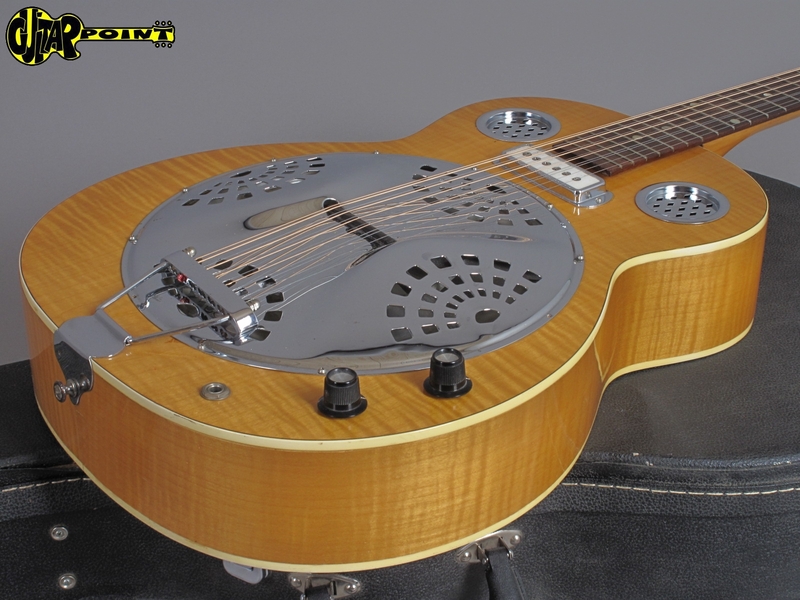 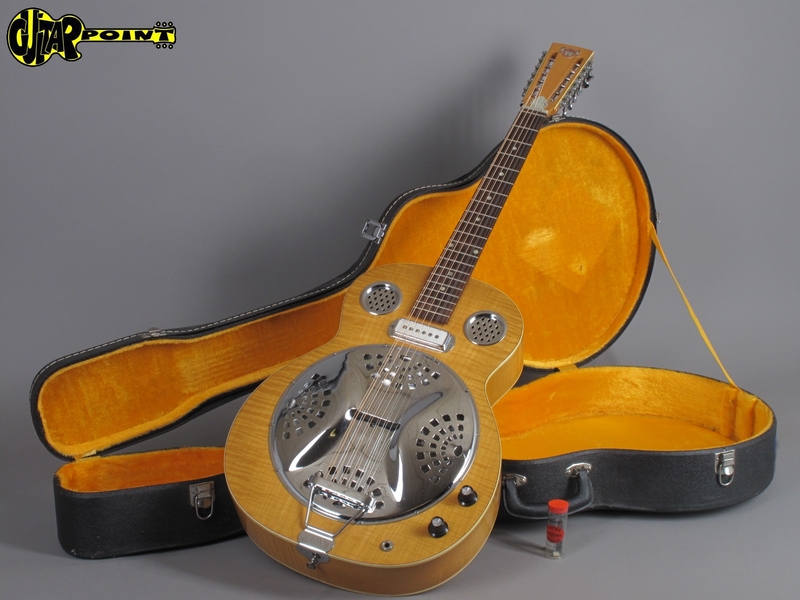 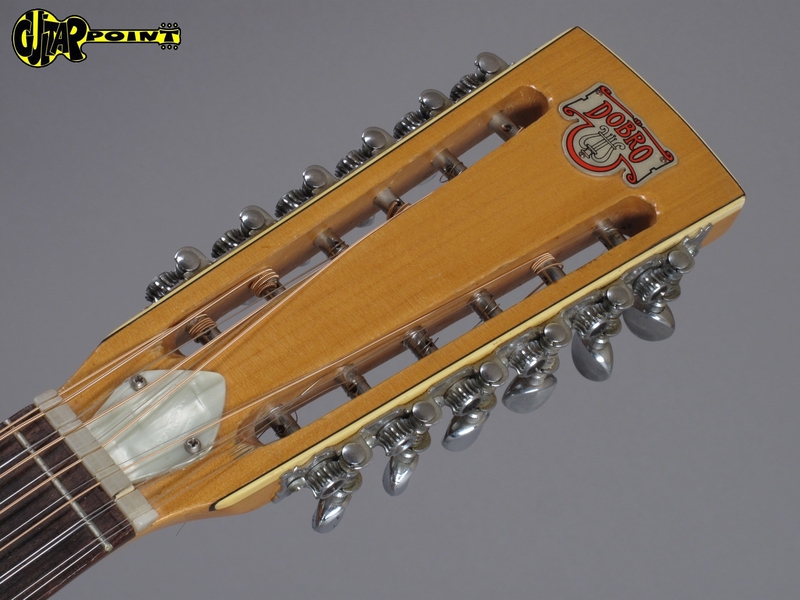 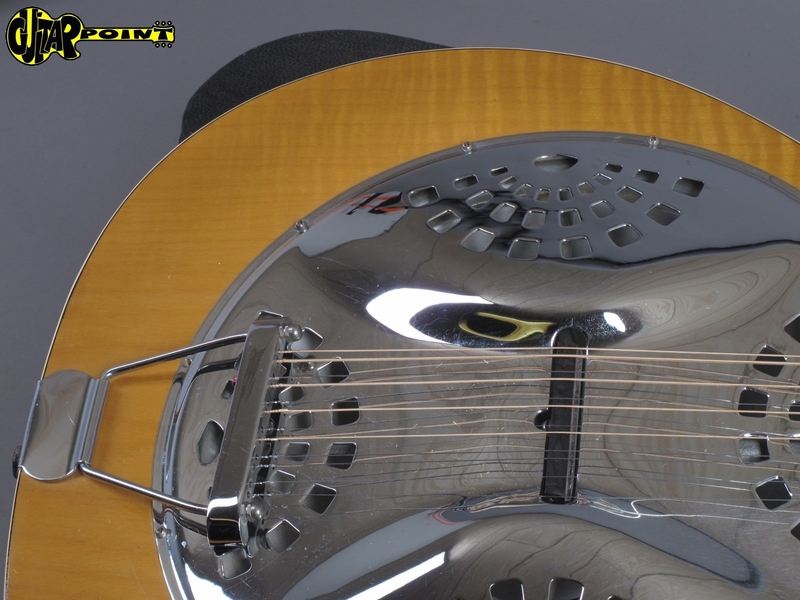 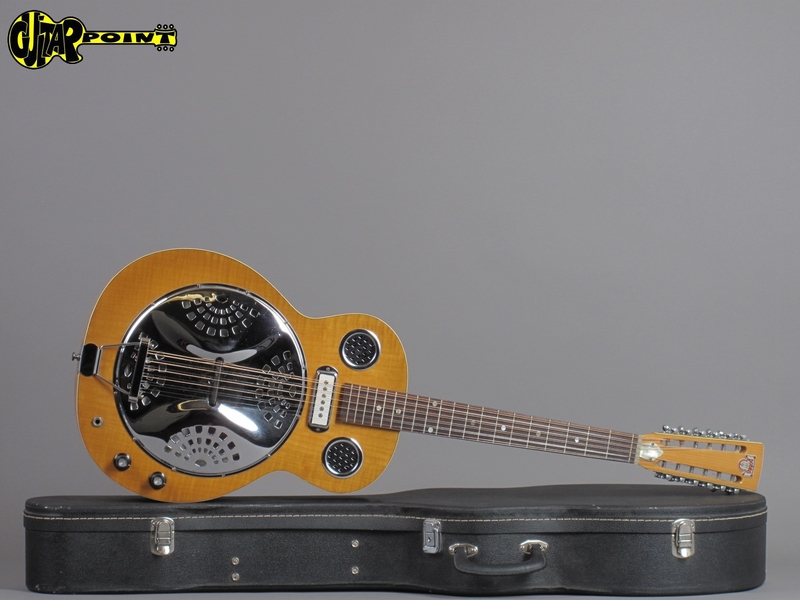 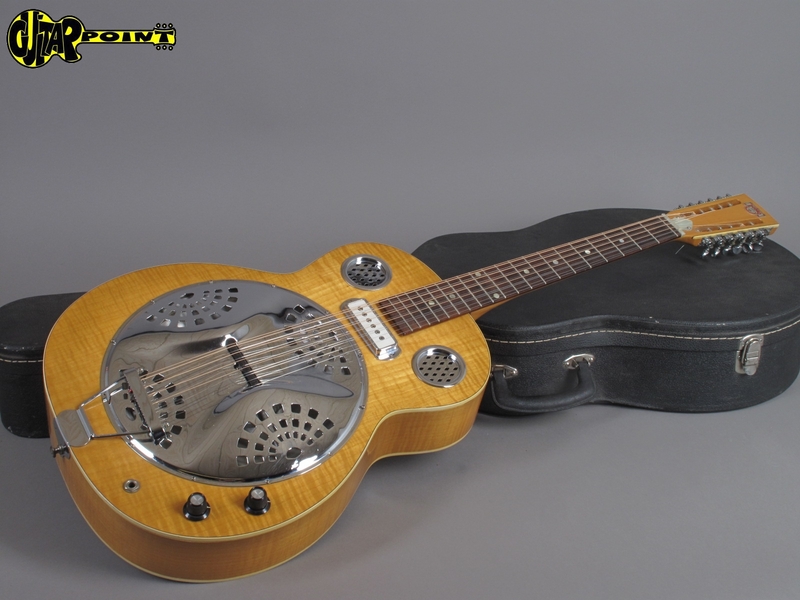 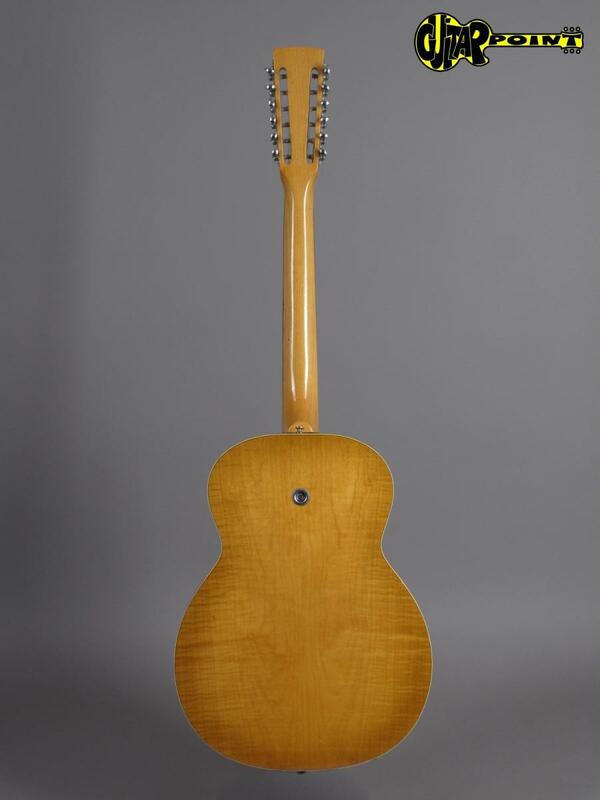 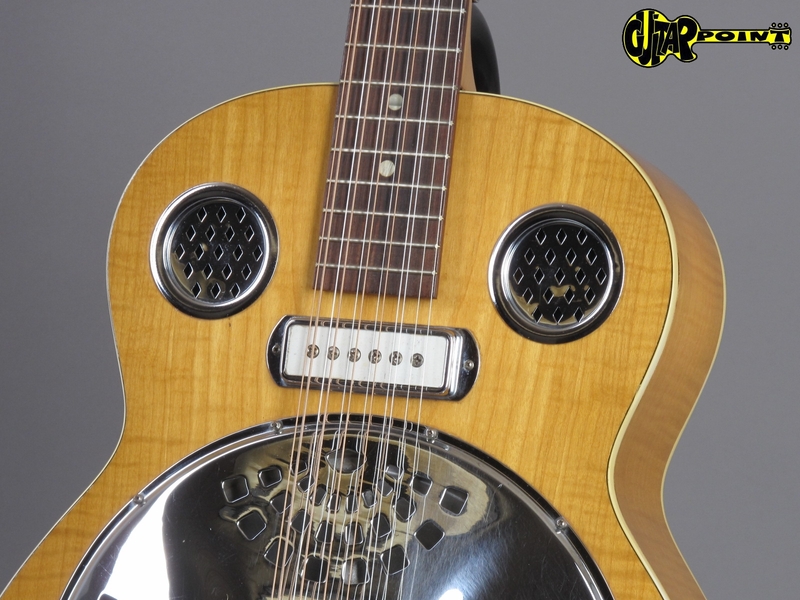 Rare 1966 Dobro D-12E "The Columbia" - 12 String Electric resonator guitar in Natural finish. 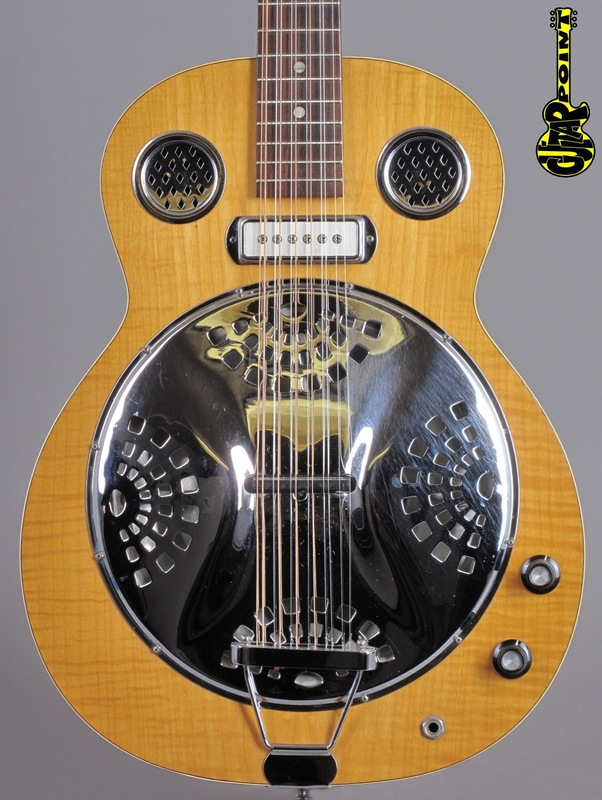 In 1966 Semi Moseley (Mosrite Guitars) acquires the rights to the Dobro brand building Dobro instruments in California until 1968, first in Gardena, later in Bakersfield. 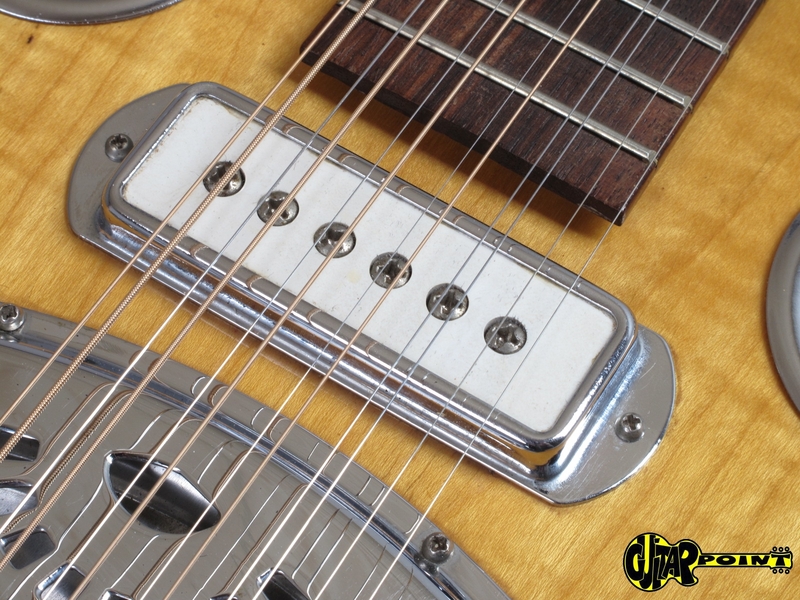 The first instruments that Mosrite made were assembled from original Dopyera parts in the Gardena factory and feature their serialnumber on the top of the headstock (this is #6056). 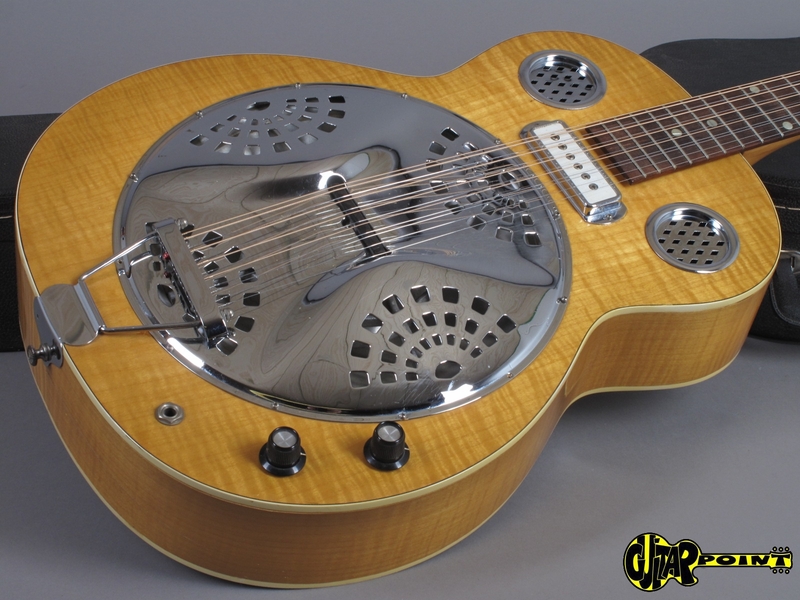 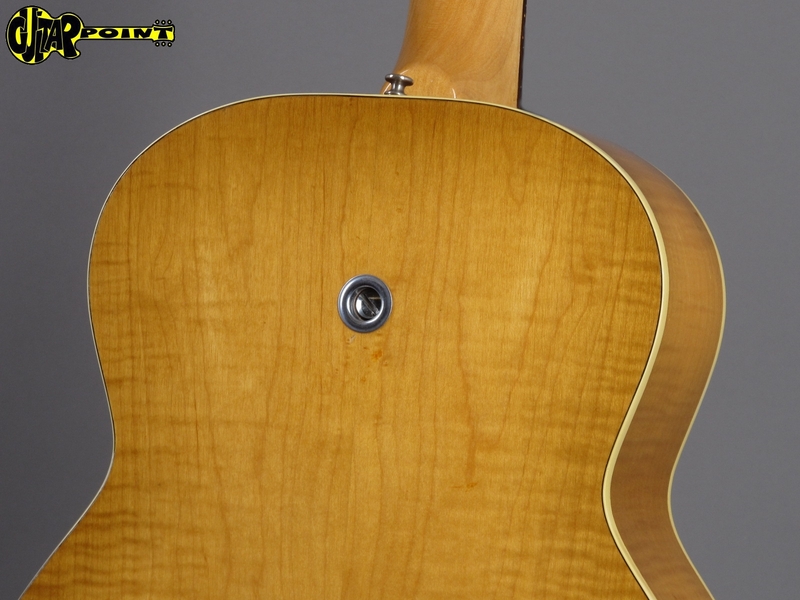 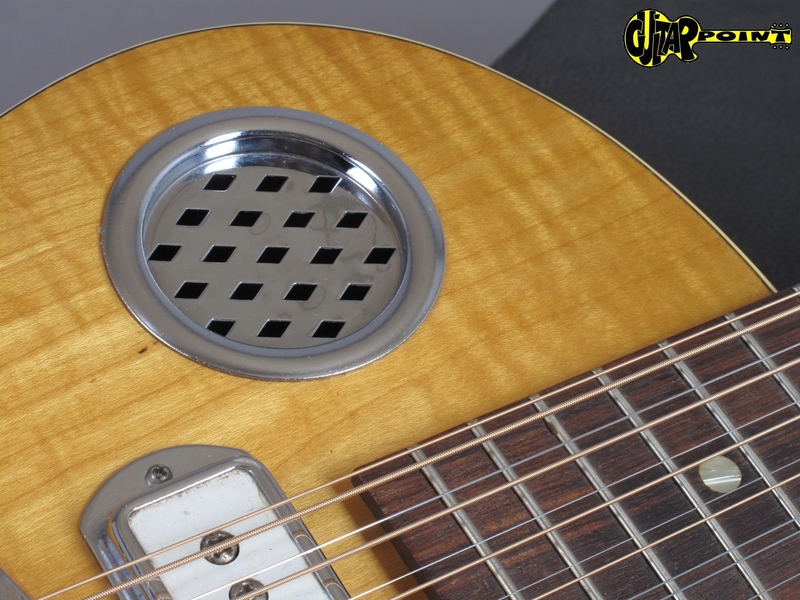 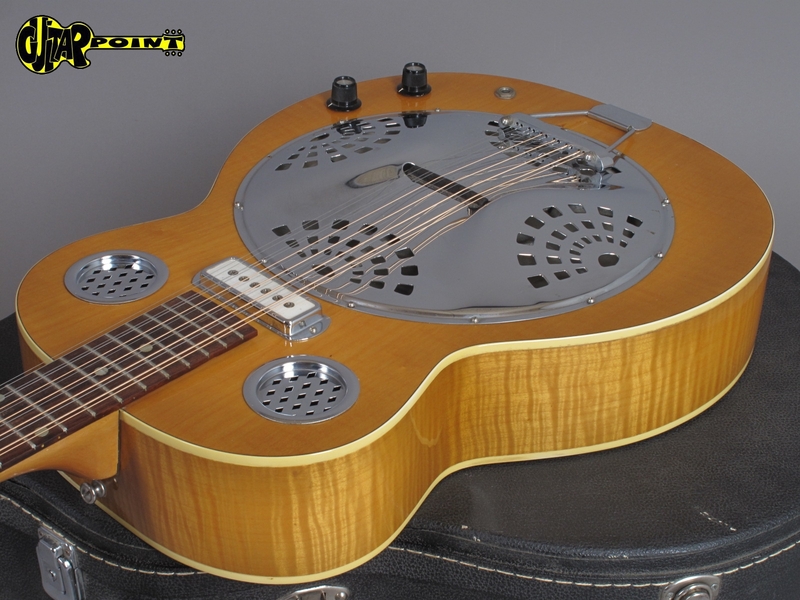 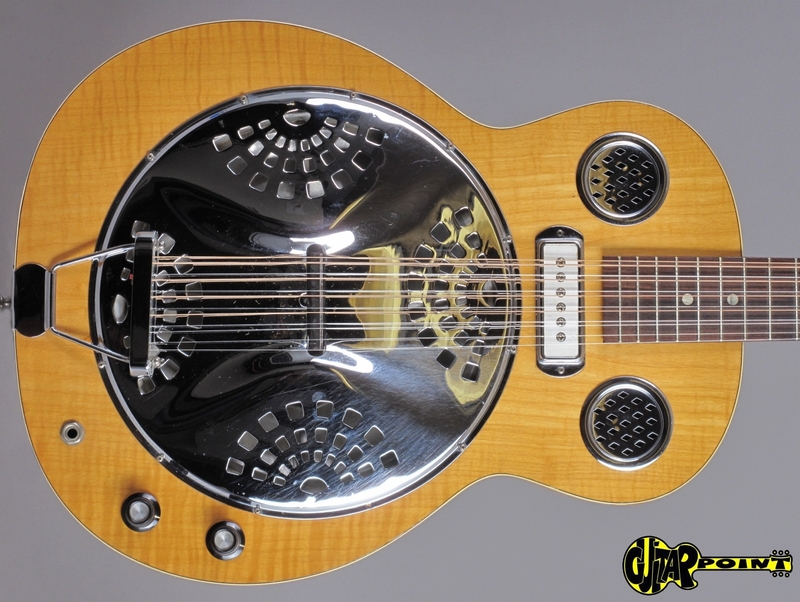 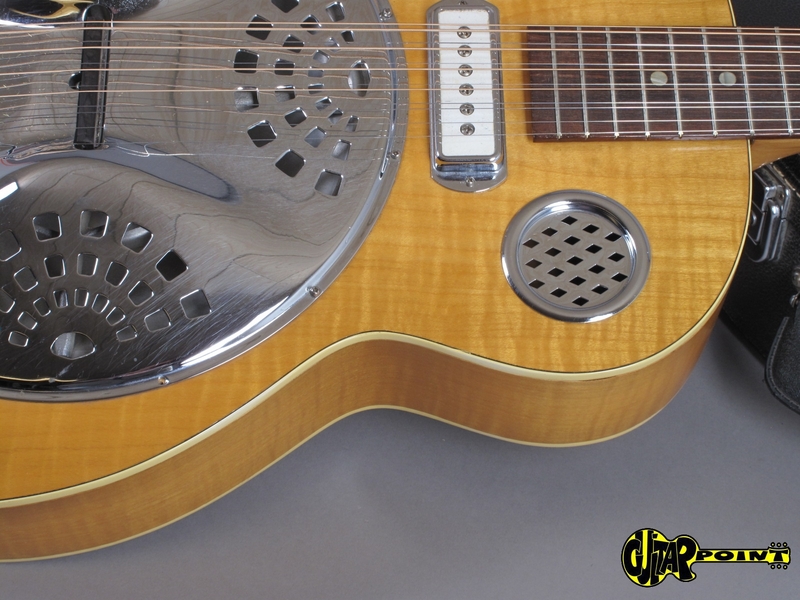 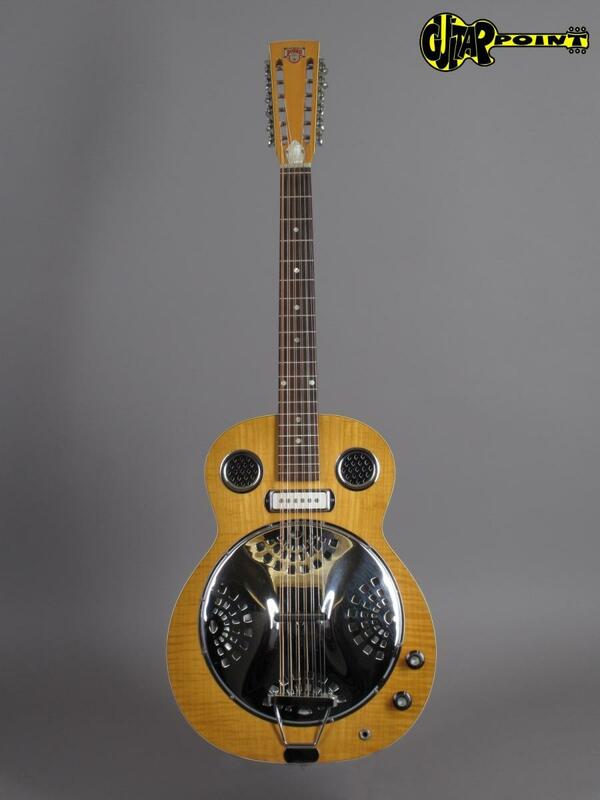 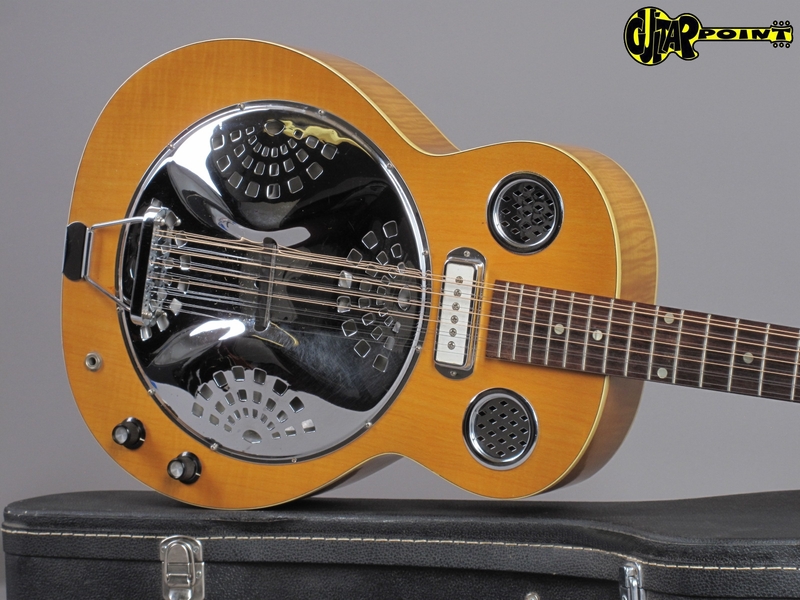 This single-cone resonator guitar is a rare 12-string version with a single-cone and roundneck, built-in pickup with 1x Volume- and Tone control. 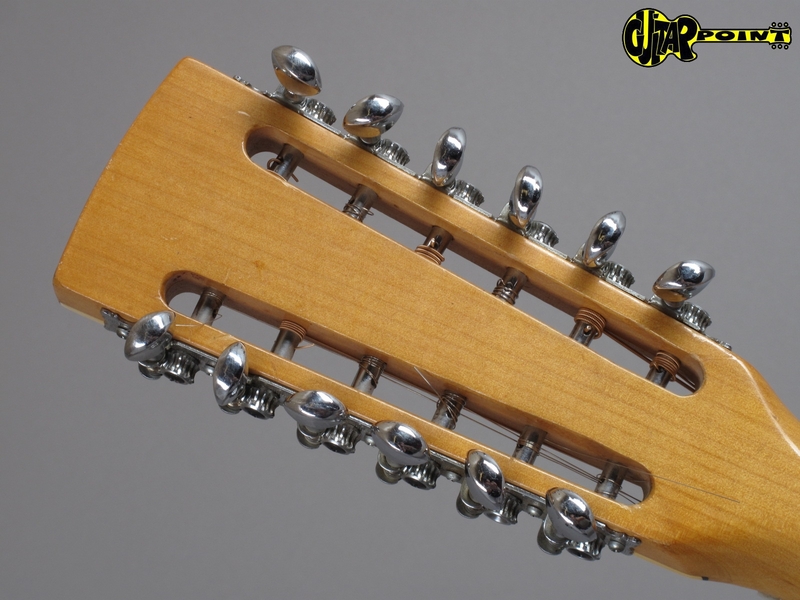 The neck meets the body at the 14th fret, the body and the 1-piece neck is made of maple, the fretboard is made of indian rosewood. 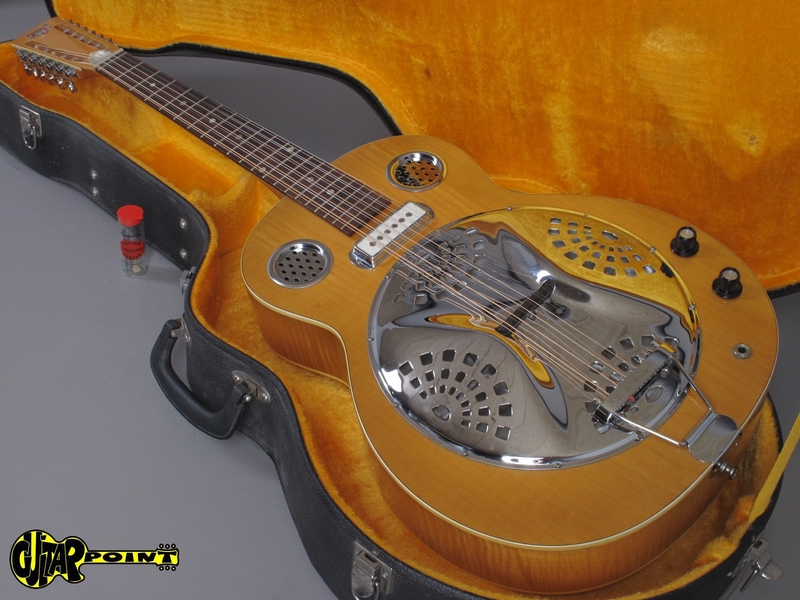 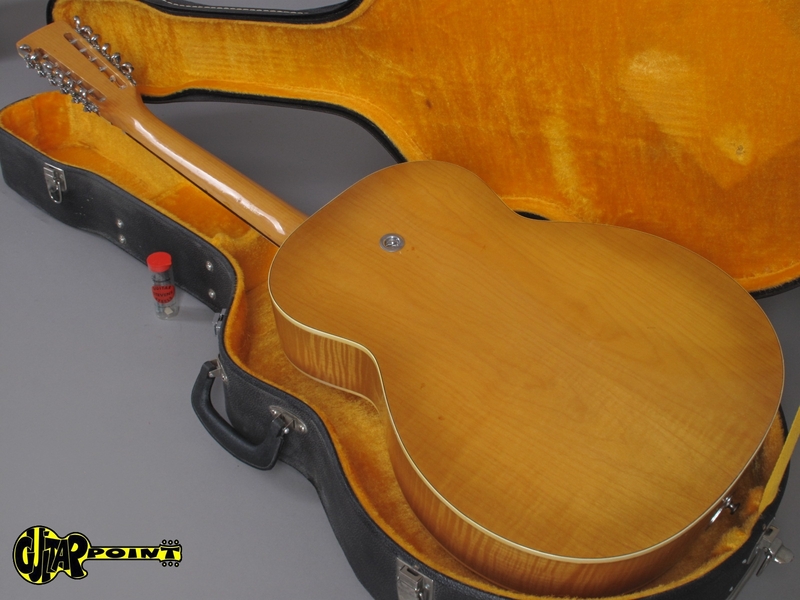 This is the same model played by Jimi Hendrix, Eric Clapton, Arlo Guthrie and Slide Guitar Bluesman Roy Rogers. 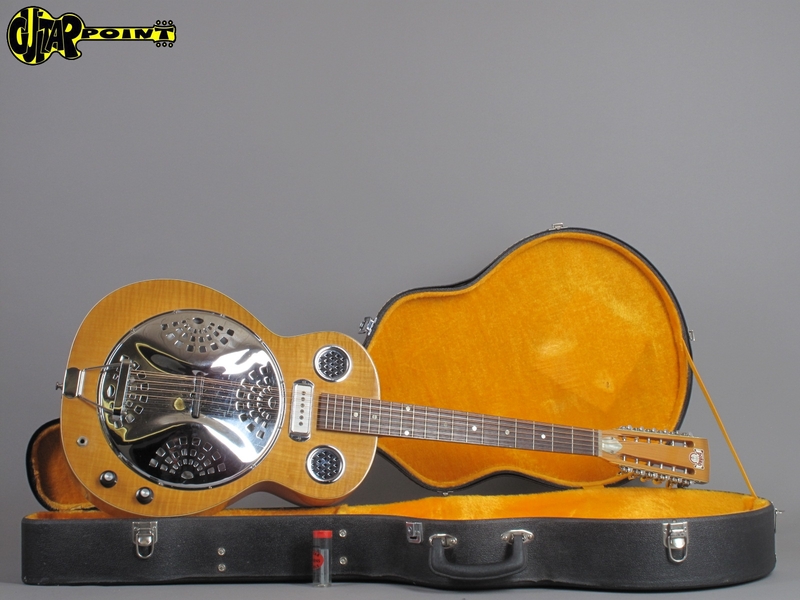 Comes in black hardshell case.